Josh and his guys over at ASAP are so unbelievably great to work with, from the quick response time and his guys showing up at the time they actually say they will (a rarity nowadays), to his follow-up and help with insurance companies. After a catastrophic water leak in my condominium, I used my Condo association’s preferred vendor to do the teardown. I was not impressed with the job. I went to my trusted Angie’s List to find an alternative to the build back. Score! I called the owner of ASAP Restoration due to the many positive reviews. From the very beginning I knew that I had found the right company. The owner described the whole process to me and had the whole project set up and completed less than a week of my call. My significant build back was completed in one day. The employees that came to my condo were on time, professional and highly skilled. My kitchen looks exactly the same as before the damage. I can never tell it happened in the first place and am so satisfied to have my home back the way it was. The bonus is that the refrigerator that leaked actually fits better in the cabinetry than before the water leak. I would recommend this company to anyone without exception. I can only say positive things about every interaction I had with this company. Read our Reviews on Angies List and Leave us your review! I called ASAP and a consultant came that night to test. ?They started work immediately after all rooms were declared hot?and were done with three rooms in two days. ?The floors were spotless, and there was very little damage to our newly painted walls and trim. ?Josh was amazing and understanding of the stressfulness of the situation. The provider analyzed long term rain damage in ceiling of?multiple rooms, and also analyzed newly occurring mold due to separate water damage from leaking wash-machine valves. ?ASAP restoration provided me with contractors to do before & after?mold testing, plumbing for wash-machine valve repair & hose replacement, and repair/finishing of all areas affected by rain damage and mold. ASAP Restoration was extremely effective in all aspects of the work I had done. ?They?responded immediately to my call and came out the following morning to investigate. ?They?assisted by arranging all the necessary contractors needed which was very helpful since I am so busy. ?I appreciated them being so?proactive, punctual, and professional. ?I am very satisfied with all the work now that it is complete, and I would strongly recommend them to anyone. 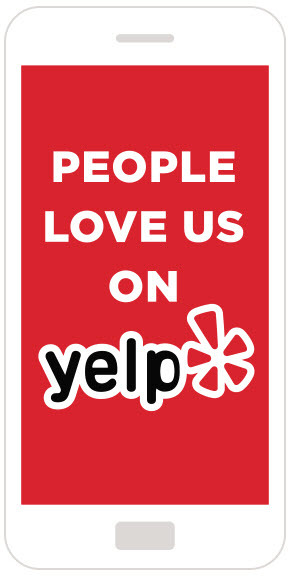 Please Read & Leave us reviews on Facebook! Jennifer Lunsford reviewed ASAP Restoration LLC – Water Damage & Remodeling — 5 star – May 23 2016 I truly believe that I made the right choice in choosing Josh and his crew to be the company to do my water leak repairs. Josh and his crew were very professional, and had my best interest. He was knowledgable and very engaging in letting me know the step by step process within the entire duration of the repairs. It was nightmare with my insurance he helped thoughout the whole process! Now I look at my home and feels brand new! Thank you very much for your hard work and customer service!